Online shopping can be considered most remarkable marketing revolution brought about by Internet technology. Acceptance of ecommerce as the default medium for making purchases is propelled by advent of smart phone technology. This has made ecommerce as one of the most progressive industries and there are millions of online business ventures and the number is growing day by day. As we know, there are three standard versions of web hosting such as shared hosting, VPS hosting and dedicated hosting. It would be relevant to find out the best ecommerce hosting suitable for ecommerce venture. The basic purpose of an ecommerce site is to attract as many visitors as potential or repeat customers as possible. It is practically not possible to fix an upper limit on number of hits that an ecommerce website would be receiving on any given day. This is particularly applicable on special days such as campaigns and festivals. 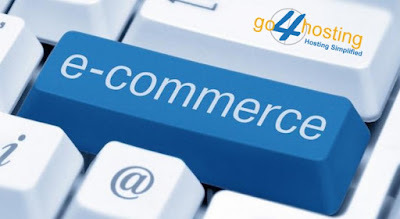 This requires ecommerce sites to be prepared to meet challenges of heavy traffic by allocating as much resources of the best ecommerce hosting solution as possible. A shared hosting plan requires users to share number of resources in a single server. These are disk space, RAM, bandwidth, and IP address just to name a few. Sharing of these vital resources can pose great inconvenience for ecommerce websites. Websites of online stores are highly volatile in terms of number of hits per day. There can be periods of extremely large number of hits due to seasonal or promotional factors. This is in sharp contrast to the steady traffic experienced by blog sites. In a shared hosting environment one cannot expect high availability of resources. Moreover, shared hosting plan does not allow use of an SSL certificate that is the basic need for secured transactions of online payments. As explained above, ecommerce sites need to be ready for handling large amount of traffic without impact on site performance and a VPS or dedicated hosting account is the most ideal alternative for running an online business. Users are able to avail SSL certificates for running their ecommerce site in HTTPS mode. In addition to this, VPS and dedicated hosting plans are able to offer greater volumes of resources for unrestricted performance in presence of heavy traffic. The most important decision for running an ecommerce site is selection of the right software application or plugin. Users of ecommerce sites that have an associated content based site running on Drupal or WordPress CMS applications, should ideally use an ecommerce plugin. The most sought after plugins are Drupal Commerce, WooCommerce, and WP Ecommerce. A dedicated ecommerce site needs support of a standalone ecommerce package. This calls for obviating a complex content management system and adopting a simpler and a specially designed ecommerce solution including Zen Cart or Magento. There is a plethora of lightweight and the best ecommerce hosting platforms for smaller ventures. There are also special software solutions for websites that need ecommerce features to manage a side business to support main feature of the website. The best ecommerce hosting solution has truly been transformed with advent of ecommerce software solutions. These can perform to the best of their capacity in a VPS hosting environment.